Here are out top young Nigerian musicians (men). These guys make it happen in the music industry. They are great forces to be reckoned with when it comes to Nigerian songs as they remain the most talked about young celebrities in Nigeria. Davido aka OBO (Omo Baba Olowo) is a 25 year old Nigerian singer, songwriter and record producer. He was born into the affluent Adeleke family of Ogun state in Georgia, United States. His hit single ‘E ma dami duro’ which was released in 2011 coined him the nickname OBO, which means a child of a wealthy father. Davido has since remained unstoppable as the young man has won himself several national, continental and international awards. 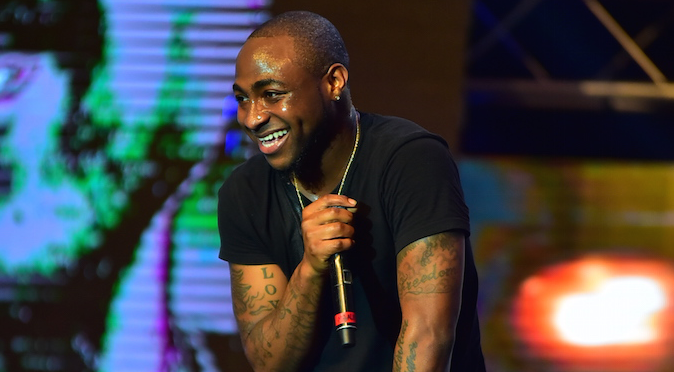 Davido is widely recognized and appreciated for the hit songs he has had coupled with the energetic acts he exhibits during his song performance. OBO is the co-owner of the HKN Music record label, (a record label home to Sina Rambo, B. Red and DeeKay. He is also a father to two girls; Imade and Hailey Adeleke. Ayodeji, popularly known as Wizkid is a 27 year old Nigerian singer and songwriter. Wizzy started singing in a church group at the age of 11 until he rose into limelight in year 2010 after his song ‘Holla at your Boy’ hit the Nigerian audience. Over the years, Wizkid has indeed proved to be a star as he has literally taken Nigerian music to the forefront especially with the several collaborations he has done with international acts. Alongside Davido, Wizkid has numerous awards to his name home and abroad. The starboy is a father to three sons from three different mothers and doesn’t believe in monogamy. Olamide Baddo as popularly known is a Nigerian hip hop recording artiste. He is the CEO of YBLN Record label. Olamide records most of his songs in Yoruba language, his mother tongue. The Bariga/Shomolu born continues to wow his fans with the number of albums he releases per time. With so many awards to his name, Olamide seems not to be about music alone as he recently launched his own TV channel Voice Of The streets (VOTS). Anidugbe Oluwatobiloba Daniel, known as Kiss Daniel is a Nigerian recording artist, performer and entertainer best known for his chart-topping single “Woju”. The handsome 23 year old is a graduate of Water Resources Management and Agrometeorology (Water Engineering) from Federal University of Agriculture, Abeokuta. The Abeokuta native has always had interest in music since when he was a child but couldn’t pursue his dreams earlier due to financial constraints. His hit single, Woju paved ways for him in 2014 and he has since remained strong in the music industry. Augustine Miles Kelechi, best known by his stage name Tekno Miles or simply Tekno, is a Nigerian singer-songwriter, producer, performer , actor and dancer. The Ebonyi state native got enrolled into a music school at the age of 8 where he learnt how to play musical instruments and later proceeded to study music online. Tekno and his music got recognized in the year 2015 when he released his hit single Duro. He has so many awards to his name with several international nominations. The 25 year old is romantically linked with Lola Rae, a Nigerian singer too.